This year’s Wall Street 50 distinguished keynote speaker is the legendary Don Keough. In February 2004 he was elected to serve on the board of Coca-Cola. He retired as president, chief operating officer and a director of The Coca-Cola Company in April 1993, positions he held since early 1981. His tenure with the company dates back to 1950. In addition, from 1986 to 1993 he served as chairman of the Board of Coca-Cola Enterprises, Inc., the world’s largest bottling system. From 1985 to 1989, he also served as chairman of Columbia Pictures, Inc., before it was sold to Sony, Inc. He currently is chairman of the board of Allen & Company Incorporated, a New York investment banking firm. He was elected to that position in April 1993. Aside from all his professional success, Keough also treasures his Irish heritage. 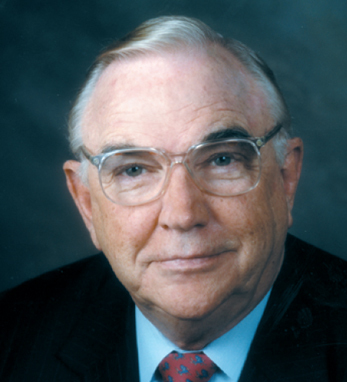 The Donald R. Keough Endowed Collection in Irish Studies was established by Notre Dame University in 1992 to honor him as he became a life trustee of the school. The Collection houses works relating to the social, economic, cultural, and religious history of the Irish, Irish immigration history, and Irish women’s studies. He has led several delegations of American business people to Ireland and he is a member of the Taoiseach’s (Irish Prime Minister) Economic Advisory.